Many older homes including apartments, houses, and condominiums built in the 1960s and 1970s have aluminum wiring. According to the United States Consumer Product Safety Commission, these homes have an increased risk of fire hazard as aluminum wiring can overheat and cause a fire. This can turn into a fatal fire if the home does not have a working smoke detector. This deadly combination can allow an accidental electrical fire in the wall of a home to spread undetected and cause smoke inhalation, serious burns, or even death. Defective smoke detectors and smoke alarms are especially problematic because the hidden fire can rapidly spread while people are sleeping allowing smoke to fill up the home causing people and pets to pass out from smoke inhalation. If you own or are thinking of buying or renting an older home it is important to know if you have aluminum wiring and if your home has working smoke detectors. This knowledge can help avoid a fatal house fire or fire tragedy. If you or a loved one have suffered severe burns or smoke inhalation or have lost your home and property from a fire and have questions about seeking compensation on a fire claim, feel free to submit an inquiry for a Free Online Evaluation of your potential fire claim by an Austin Texas fire lawyer or send an E-mail to Austin Texas Home Fire Lawyer Jason Coomer for a free online case review. A working smoke alarm on every level of a home and in each bed room is an important safety feature to have in your home. The United States Fire Administration provides information on smoke alarms including the following brochure on What You Need to Know about Smoke Alarms as well as information on defective smoke detectors that you should be aware of and avoid. As of December 2007, the United States Fire Administration had recalls notices on Digital Security Controls FSA and FSB Series Smoke Detectors, First Alert Onelink Battery-Powered Smoke and Combination Smoke/Carbon Monoxide (CO) Alarms, and BRK Brand Hard-Wired Battery Back-Up Smoke Alarms, Models 4120B and 4120SB. For more information on these smoke alarms, contact the United States Fire Administration or the manufacturers of these products. Defective smoke detectors and smoke alarms are especially problematic for fires that occur at night, when people are sleeping, when people are disabled, or when the fire is hidden. This is because a failure to warn of a fire can allow the fire to spread. Once the fire has spread smoke can accumulate taking away oxygen and creating toxic fumes that can cause people and pets to pass out from smoke inhalation. When purchasing, renting, or deciding to live in an older home it is important to know when it was built and if it was built with aluminum wiring in it. This is because many homes built in the 1960s and 1970s were built with aluminum wiring that can over heat and cause a fire. Additionally, over time the aluminum wiring in these homes typically deteriorate making the risk of an accidental electrical fire increase. If you own or are thinking of buying or renting an older home it is important to know if you have aluminum wiring. If your home will have aluminum wiring, it is also a good idea to review the Consumer Product Safety Commissions Recommendation for Aluminum Wiring in Homes and to make sure that your home has working smoke detectors. This knowledge can help avoid a fatal home fire or fire tragedy. Both aluminum wiring and defective smoke detectors increase the risk of a fatal home fire that could cause devastating loss of life, serious burns, catastrophic injuries, and significant property damage. It is always best to lower these risk as much as possible for your health and safety as well as that of your family. Austin Texas Home Fire lawyer handles fatal fire claims and other accidental fire claims that cause serious injuries, significant loss of property, or death. Recovering from a home fire, can be difficult. Not only is there the loss of life or serious injuries to deal with, but the actual clean up and rebuilding. From the fire damage to smoke and fire suppression damage, residential fire claim typically require significant resources to clean up and rebuild the home. As such, it can be extremely difficult to deal not only with the loss of life, injuries, and damages, but to also deal with the builder, insurance company, or other large company that may be responsible for the home fire. It is often beneficial to hire a home fire lawyer or fatal fire lawyer to assist in seeking compensation for home fire. A good residential fire lawyer will investigate the cause of the fire and work with fire cause and origin experts to determine the cause and origin of the fire. This investigation is extremely important as it is the person seeking compensation that has the burden to prove what caused the fire including faulty installation of electrical wiring, appliances, gas lines, or gas meters or defective parts including aluminum wiring, defective gas meters, defective gas lines, defective gas control valves, or defective flexible gas connectors. It is also important to determine if there were working smoke detectors or flame detectors in the home. After losing a loved one in an accidental fatal fire, it can be difficult to locate all potential insurance recoveries as well as to prove to insurance companies and guilty defendants the full extent of damages that your family has suffered. This is true even if the damages suffered include the loss of a main contributor of financial support to your family or if there are large medical and funeral bills created by the death. These damages can cause a ripple affect of other damages that can result in the loss of a home, loss of vehicles, loss of ability to go to college, and other serious financial problems. This web page is designed to assist Texas families that have had a loved one accidentally killed investigate an accidental death claim and determine if money compensation can be obtained to help offset the damages that have been suffered. When an accidental fire causes a death, it is important to determine why the death occurred and prevent future fatal fires from occurring. In investigating fatal fire claims, it is often helpful to hire a fatal fire claim lawyer that is experienced in investigating fatal fires including the cause and origin of fires. This investigation can be extremely complicated as there are many different potential causes of fatal fires including gas leaks, defective automobiles, defective wiring, and faulty fire places or chimneys. Working with fire marshals and other fire cause & origin experts, a fatal fire lawyer can often determine what caused a fire and if a party has liability for causing a fatal fire. This investigation is often hard for the family of the person that was killed in the fire because they are unfamiliar with fire investigation and they are usually busy grieving the loss of their loved one. They also are often attempting to transition into a world without their loved ones and dealing with financial and probate issues. Residential accidents including propane explosions, fires, natural gas explosions, and home fires cause fatal injuries, serious burns, and catastrophic damages every year. In seeking compensation for a home gas explosion, it is important to have a home gas explosion lawyer or home fire lawyer working for you and your family. 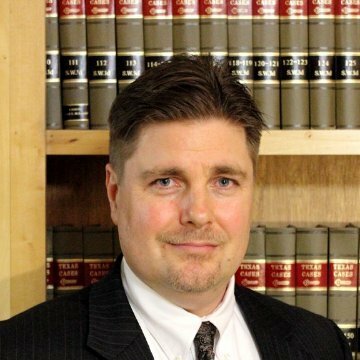 Texas home gas explosion lawyer, Jason Coomer, represents people that have been seriously burned or suffered smoke inhalation in home fires as well as the families of people that have been killed in home fires or gas explosions. As a Texas home gas explosion lawyer and Texas home fire lawyer, Jason Coomer has worked with other Texas home gas explosion lawyers including other Austin gas explosion lawyers, Houston gas explosion lawyers, San Antonio gas explosion lawyers, and Dallas gas explosion lawyers. He also works with other home gas explosion lawyers throughout the United States. He also handles industrial gas explosion claims and works with other industrial gas explosion lawyers across Texas and throughout the United States. If you or your family have suffered a home gas explosion resulting in a death, serious injuries, or significant damage, feel free to contact Texas Home Fire Lawyer Jason Coomer via e-mail or submission form for a free online review of your home gas explosion claim.